Beauty Essentials is the first class associated with all MUD programs and is the first step in becoming a make-up artist. 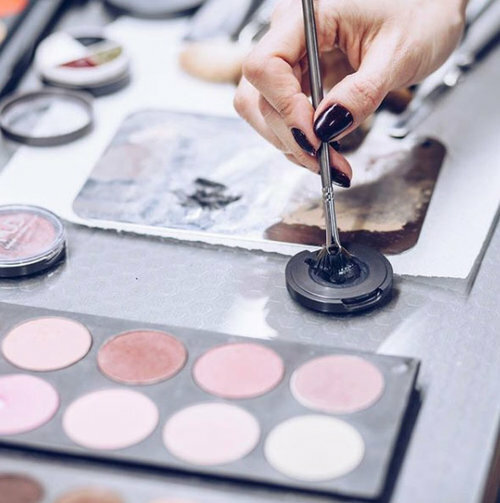 With this program a student will be able to take the first step into a bigger world or expand their knowledge to incorporate make-up into other services. Identify skin undertones and shades. Correct the nose shape using shadow and highlight with cream and powder products. Properly apply highlight and shadows for the cheekbone and jaw line. Correct the various eye shapes with highlight and shadow. Properly apply the four classic eyeliner positions. The student will be able to do the point-to-point method with: cake liner (wet applied), powder, pencil, and creams. Properly apply lip color, including how to load the brush and use the point-to-point method to apply the color. Anyone who wants to learn beauty makeup in an intensive training can follow our ‘Makeup Artist Level I: Beauty Essentials’ class! No experience is needed: beginners and professionals are welcome. This make-up course lasts 84 hours, by doing this, MUD makes the difference. Because no other makeup school offers such an intensive training in beauty makeup. After this training you are ready for the next makeup challenge! We see this first 84 hours as the basics for learning beauty makeup. Are you already a professional makeup artist? Are you passionate about make-up but have no experience? This training is cultivated for both audiences with a highly unique and up-to-date curriculum, which originate from our main campus in LA. Make-up Designory grew into the largest educational system that focuses exclusively on training makeup artists. Over the years, we remain true to our educational standards, curriculum development and teacher training. We created a standard form of make-up education that is recognized worldwide. The same curriculum and the same high standards and MUD certified teachers can be found in MUDs main campuses in New York and Los Angeles, and through the international network MUD Studios. Are you familiar with the MUD Job Board? This internship platform is exclusively build for students MUD. After your training you will have access to this platform. 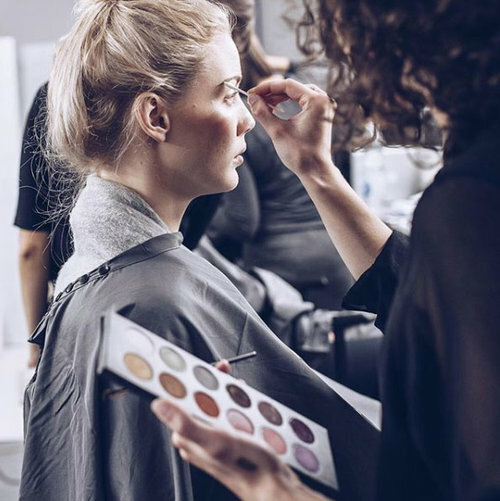 This is handy because you can participate in real world situations and events such as fashion shows, film shoots, photoshoots and private make-up events. A powerful boost for your experience and self-confidence! By registering 60 days prior to the beginning of the course start date, you will receive the option of a 10% discount on the course. The course price with a 10% discount would be 2,655 EUR.